Everyone at HAMA prides themselves in not only giving people the time of their lives but also being a part of the local community and championing responsible travel. We all share a passion for the unkown trail and love of sharing new discoveries. Hoi An Motorbike Adventures enables the intrepid traveler to experience off the beaten track tours into remote and rarely explored regions in Vietnam, Laos, Sri Lanka & Italy. 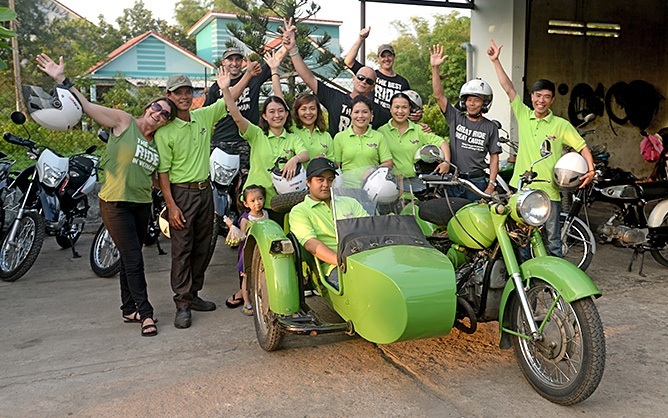 Established in 2009 by Mark Wyndham and his wife Simone, Hoi An Motorbike Adventures has grown to be the largest motorbike tour operator in Central Vietnam. HAMA, as it is affectionately known, operates within Vietnam by Hoi An Discovery Adventures Travel Ltd, and is the only 100% legal internationally licensed motorbike company in central Vietnam. Our dedicated team of local and expatriate employees’ focus is on ensuring you enjoy the highest levels of safety whilst you experience the freedom and sheer joy of traveling by motorbike or Jeep in the beautiful countryside of Vietnam. Whether you want to drive yourself or have the luxury of being driven by one of our licensed drivers, Hoi An Motorbike Adventures pride ourselves on being able to cater for anyone with a sense of adventure. HAMA is a fully registered legal travel company for International tourists: International Tourism license number: 49-025/2014/TCDL-GPLHQT. As the only legal company operating motorbike tours within the region, we can guarantee all our clients are fully covered under Vietnamese tourism laws. We pride ourselves on legally operating our tours, paying our staff above award wages and complying with our tax obligations under Vietnamese law. If you travel with us, rest assured you are helping provide Vietnam with a sustainable future. 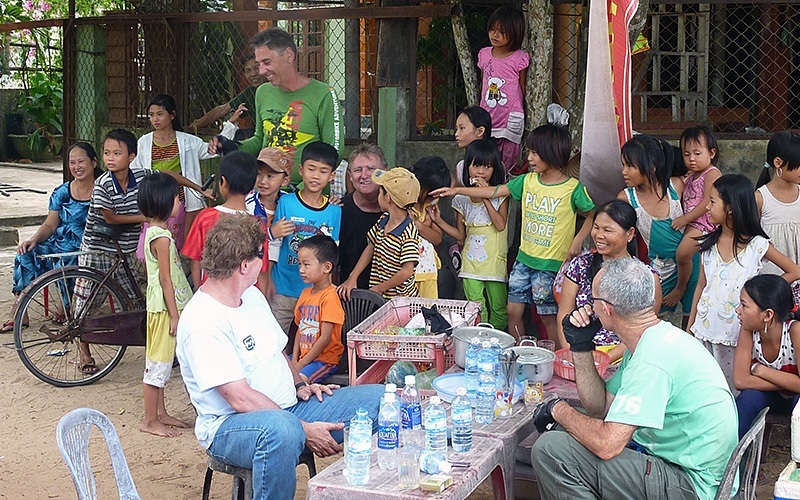 Everyone at Hoi An Motorbike Adventures prides themselves in not only giving people the time of their lives through also being a part of the local community and championing responsible travel. We all share a passion for following the unknown trail and a love of sharing new discoveries. The landscapes of Vietnam and Sri Lanka are both in their own ways unique and beautiful. We delight in taking you directly to that beauty and creating a memory that you will carry with you for the rest of your life. Our love of the Vietnamese people and their tumultuous, often tragic though always triumphant history is what sets us apart from the rest of the pack. We learn the stories behind the story. We research thoroughly and then we relay the message to you with a smile and a deep sense of responsibility that comes from sharing the local peoples’ lives. Fun and safety are one and the same thing to us and we will always do our utmost to keep you where you belong, on the bike and not under it. We take special care to only allow people to ride within their limits and will adjust the pace of a tour depending on both this and the conditions. Our bikes are all meticulously maintained. We have a team of experienced mechanics who will often be on tour as well either as a stand alone mechanic or a driver. Those who don’t wish to take the reins themselves can choose to ride pillion with our trusted and insured local riders. Just sit back, relax, enjoy and take a million photos. We are very proud of our staff; many of whom have been with us since the beginning. No tour would be possible without a great crew running things behind the scenes. Our office and support staff are always on hand to iron out the bumps and ensure your experience with Hoi An Motorbike Adventures is smooth and hassle free as possible. Our crew of English speaking tour leaders are bike enthusiasts and love showing you their country. With us they find themselves surrounded by like-minded souls who share a passion for bikes, fun and sharing a good story. They have ventured down Vietnam’s back roads and are uniquely familiar with the people, the language, the bikes, and all the exotic destinations not found in any guide book. With us you will discover remote regions few people have had the pleasure to visit and enjoy the challenge of touring by motorbike to such exotic destinations. You will learn about the customs and traditions of the Vietnamese people, the diversity of the hill-tribe groups, the country’s rich history and get involved in daily life. HAMA has recently partnered with one of Vietnam’s smallest ethnic minority groups, the Co Tu people of Western Quang Nam province. This is a remote, rural area that few Westerners have heard of, let alone been to and has been sadly lacking in investment. HAMA’s partnership with Bho Hoong village creates sustainable employment and training opportunities that will complement and preserve their rich and unique culture. We are very proud to be a co-founder of Rally Indochina, an annual charity ride of approximately 10 days length from Hanoi up to the Northern Mountains and other Rally itineraries to amazing destinations in Vietnam. Over the past six years, over 80 motorcyclists and their supporters from around the world have raised over $225,000 for the Blue Dragon Children’s Foundation. Blue Dragon uses these funds to fight against child trafficking from the central coast and northern mountains into illegal sweatshops in Ho Chi Minh City. More info about the rally www.rallyindochina.com and the charity we support www.bluedragon.org.